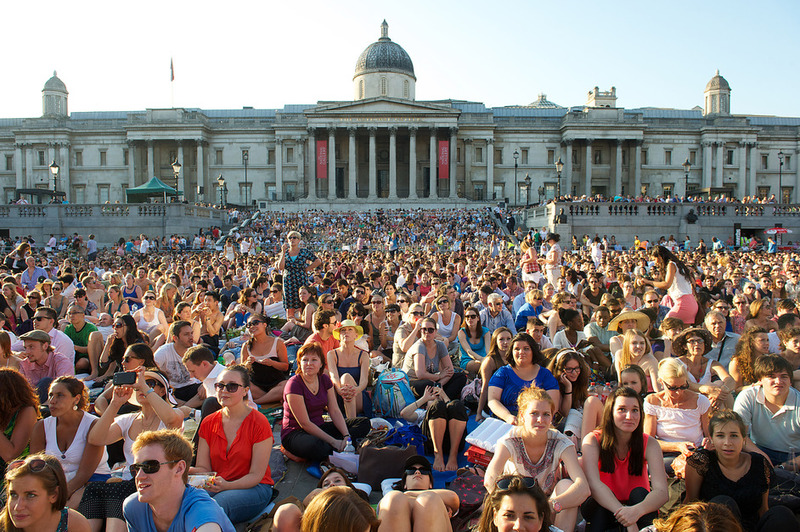 A free, live outdoor screening direct from the Royal Opera House to Trafalgar Square. The last of three BP Big Screen events in London this summer, on Tuesday 22nd September Kenneth MacMillan's production of Shakespeare's star-crossed lovers, Romeo and Juliet, is a classic of 20th-century ballet, and a heartbreaking match for Prokofiev's score. Created for The Royal Ballet in 1965, it's a key work in the company's repertory and a rare chance to see the live performance for free. What are the best dining options near BP Big Screen: The Royal Ballet: Romeo and Juliet London? BP Big Screen: The Royal Ballet: Romeo and Juliet gyms, sporting activities, health & beauty and fitness. The best pubs near London BP Big Screen: The Royal Ballet: Romeo and Juliet. BP Big Screen: The Royal Ballet: Romeo and Juliet clubs, bars, cabaret nights, casinos and interesting nightlife. Where to have your meeting, conference, exhibition, private dining or training course near BP Big Screen: The Royal Ballet: Romeo and Juliet. A feast of English food, live music and activities for the whole family.